" Articles from: October 2017	"
The Trump Administration and his supporters have been very busy today, working hard to downplay the Monday indictments unsealed by Special Counsel Robert Mueller against three campaign officials. Two of them, Paul Manafort and Rick Gates, pleaded not guilty. The other, George Papadopoulos, who pleaded guilty, has been quietly cooperating with prosecutors for several months. The Campaign's former foreign policy advisor, has since been dismissed by Team Trump as little more than a "low-level volunteer" and a "coffee boy" over the 24 hours since the indictments were unsealed, revealing that Papadopoulos was charged with lying to federal prosecutors about conversations he had had with an unnamed "professor" said to be tied to Russia and claiming that Moscow had "thousands of emails" revealing "dirt" on Hillary Clinton. I'm joined today by investigative journalist MARCY WHEELER of Emptywheel to help separate partisan hope from partisan hype regarding Mueller's investigation. 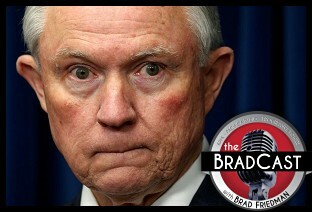 We focus on the Papadopoulos case specifically, discuss whether it reveals "collusion" with Russia (which both the Trump Administration and Russian officials strongly deny), and why she believes, as reported at The Intercept, that, more than anything, the specific charges in that case may signal very bad news for Attorney General Jeff Sessions. 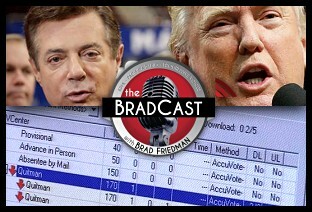 We also discuss what we now know (and don't) about the email hacks, what Mueller may have gained by waiting until Monday to reveal the indictments (Hello, unqualified USDA nominee Sam Clovis! Sam who? ), and whether it's possible --- or even likely --- that Papadopoulos may have been wearing a wire during conversations with Trump officials in the months since he agreed to cooperate with federal investigators. "Papadopoulos plead guilty for lying. We don't know why he lied, and why everyone keeps lying," Wheeler observes, adding a note of caution for the many anti-Trumpers who have been giddy since "Mueller Monday". "There's some smoke there. There may well be fire. I just think that everyone who opposes Trump has to be very careful about screaming 'fire' before we have evidence of fire. We have a legal system to sort that out. And until Trump does something to fire Mueller, or in another way thwart the investigation, we should let the investigation do what our legal system is supposed to do." 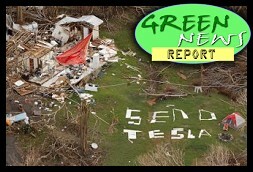 IN TODAY'S RADIO REPORT: Puerto Rico cancels controversial grid repair contract; Tesla restores power to PR children's hospital with solar and battery storage; Tropical Storm Philippe knocks out power in 7 Northeastern states; Global CO2 jumps to highest level in more than 3 million years; PLUS: Congressional Republicans may support resilient electric grids. Just don't mention climate change... All that and more in today's Green News Report! First up, two Trump Campaign officials pleaded not guilty and one plead guilty, to indictments unsealed on Monday stemming from the Special Counsel's investigation of Team Trump and charges of "collusion" between them and Russia during the 2016 Presidential election. We detail the facts as layed out by the 12-count federal indictment against former Trump Campaign chairman and CEO Paul Manafort and his associate Rick Gates charging that Manafort received some $75 million in income via his work for now-ousted Ukrainian President Victor Yanukovych and the political party which supported him. Both are allies of Russia. 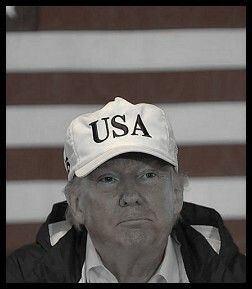 The charges do not include any "collusion" between Manafort/Gates and Russia on behalf of the Trump Campaign, but detail how Manafort, aided by Gates, hid his income from federal officials, failed to register as a Foreign Agent related to his lobbying work in the U.S., and otherwise attempted to launder some $18 million from their many offshore accounts through various schemes in the U.S. Pleading guilty, according to indictment documents released by the Special Counsel, was George Papadopoulos, an unpaid foreign policy adviser to the Trump Campaign, who allegedly lied to federal investigators about his contacts with an unnamed "professor" said to have told him about "dirt" that Russia supposedly had regarding Hillary Clinton from "thousands of emails" that the US Intelligence Community later said were hacked by Russian agents. Papadopoulos is now cooperating with federal prosecutors. The White House denies that any of the charges implicate the President or his Campaign. The DNC argues otherwise. The server wipe, confirmed via internal emails, came just days after a bi-partisan lawsuit [PDF] had been filed in July regarding the results of those elections, which were carried out on the state's 100% unverifiable touch-screen voting systems, and after the systems had been programmed via the server that we learned earlier this year had been left completely vulnerable on the Internet for at least 6 months, beginning as early as August of 2016. The vulnerable server was used to store personal voter registration data for 6.7 million GA voters, as well as ballot programming definition files for the state's computer voting and tabulation systems, and administrative passwords to access those systems. It was first discovered as freely accessible via the Internet by a data security researcher who informed officials at the Kennesaw State University Center for Elections, which has been contracted to handle all of Georgia's elections systems for the past 15 years. The Center left the system up and completely vulnerable during last year's Presidential election and until just prior to the June special election. Favorito explains the latest developments in that case, as well as his group's new statistical analysis, published a week before the news of the wiped server (and its two backup servers) became public. The report explains what the group sees anomalous election results in the Special U.S. House Election in Georgia's 6th Congressional District in June. The longtime Election Integrity advocate and IT expert details the 72-page report's analysis, concluding that it is "statistically improbable that the reported results are correct" and that they are more likely explained by the manipulation of GA-06 results at the state level, possibly by "external or internal" hackers with free access to the unprotected and now-deleted server. His conclusion, he explains, is based on analysis of results finding that the Democrat Jon Ossoff soundly defeated Republican Karen Handel by a nearly 2 to 1 margin in the only publicly verifiable results (the mail-in paper ballots) even with a Republican-leaning mail-in electorate. Yet, the Democrat still managed to "lose" somehow, according to the state's highly-vulnerable, easily hackable, unverifiable touch-screen voting and tabulation systems used for early in-person and election day voting. "The nutshell, the bottom line of it," Favorito tells me, "is that we found that it is statistically improbable that these 6th District runoff results could be correct. And if they are not correct, that means there had to either be some kind of tampering or fraud involved." 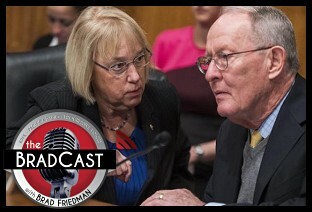 We discuss all of that today, including whether GA's Republican Sec. of State Brian Kemp's claims that he knew nothing about the server wipe should be trusted, and whether its still possible to piece together what may have happened in the recent U.S. House race, now that the server at Kennesaw has been mysteriously, if thoroughly, deleted. First up today, a number of follow-up details, for now, on the story we reported yesterday in depth about the state election server computer that was mysteriously "wiped clean" in Georgia, just after a lawsuit was filed questioning whether results were electronically manipulated in some fashion during last year's Presidential election and this year's U.S. House Special Election in the state's 6th Congressional District. Both contests were run on Georgia's easily-hacked, 100% unverifiable Diebold touch-screen systems and computer tabulators, and programmed by Kennesaw State University's Center for Elections. As AP reported on Thursday, the Center, after 15 years handling all programming for the state's elections, has now completely deleted the server that had been used for programming, including its two back-up servers. Questions remain as to whether the FBI might have an "image" copy of that server, officials are calling for a criminal investigation, and nobody yet knows who ordered the computer hard drives to be completely wiped and "degaussed three times". We also share a terrific related listener email, and detail some of the terrible reporting on this matter by at least one corporate outlet (which we were able to get them to, at least partially, correct last night.) 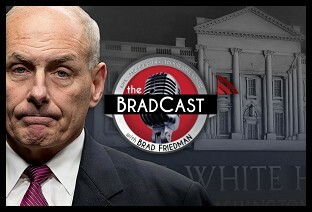 But, we hope to have much more on this story on our next BradCast. First up today, Associated Press reports that the computer server at Kennesaw State University's Center for Elections in Georgia was "wiped clean" in early July, just days after the state's contentious June 20 Special Election Runoff for the U.S. House Seat in GA's 6th Congressional District, and as a federal lawsuit [PDF] was filed to challenge the results of that election. 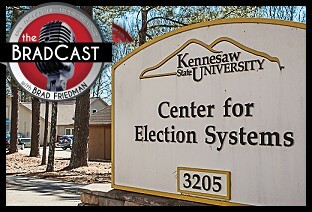 Kennesaw's Center has been contracted by the state for some 15 years to program virtually all aspects of Georgia's elections, including their electronic pollbook voter registration databases and the highly hackable and 100% unverifiable Diebold touch-screen voting systems and electronic tabulators used across the entire state. The federal complaint had sought a forensic analysis of the Kennesaw server to determine whether it may have been manipulated in some way. AP reports: "Wiping the server clean 'forestalls any forensic investigation at all,' said Richard DeMillo, a Georgia Tech computer scientist who has closely followed the case. 'People who have nothing to hide don't behave this way.'" Marks is quoted in the same report noting: "I don't think you could find a voting systems expert who would think the deletion of the server data was anything less than insidious and highly suspicious." Today we discuss the alarming new AP report and what it means, following our own months of coverage of related concerns about the GA-06 special election, failures during tabulation, many questions from Election Integrity advocates about its reported results and, of course, our years (nearly 15 of them) warning about exactly such a situation as this. Then, speaking of a "rigged" democracy, we're joined by Maplight's Dark Money Watch journalists MARGARET SESSA-HAWKINS and ANDREW PEREZ to discuss their new reporting on federal 'disclosure' documents revealing that millions of dollars were spent to support the Republican U.S. Senate effort to block President Obama's nominee to the U.S. Supreme Court, Merrick Garland, and the subsequent effort to confirm the nomination of President Trump's nominee to that same seat, Neil Gorsuch. The two reporters detail their findings including that, of the $17 million in "dark money" raised and spent on both efforts, a single donation for $17.9 million, from an unknown source to the rightwing Judicial Crisis Network, may have accounted for most, if not all of that effort. IN TODAY'S RADIO REPORT: Tiny Montana company's mysterious $300 million contract to repair Puerto Rico's electric grid; Non-partisan GAO reports climate disasters have already cost US taxpayers $350 billion; Trump's US Ambassador to Canada invents new form of climate denial; PLUS: On the 5th anniversary of Superstorm Sandy, new study warns no US city is prepared for climate change impacts... All that and more in today's Green News Report! 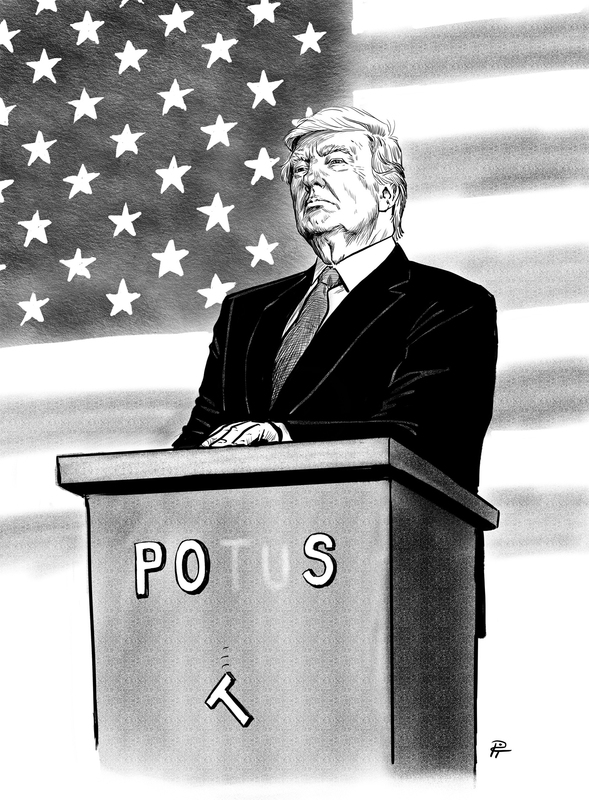 As chaotic as everything he is doing seems to be, Trump's agenda is, in fact, very coherent, and little more than radical George W. Bush right-wing Republicanism on steroids --- albeit without the educated and politically correct artifice. Among the exhibits in today's argument: His administration's attempt to physically (and emotionally) prevent a teen immigrant from receiving a Constitutionally lawful abortion by keeping her locked up, despite court orders; and the Republican Senate vote late Tuesday night, with a huge assist from the Trump Administration, to dismantle a key consumer protection reform that had been five years in the making following the 2008 mortgage crisis and subsequent global economic meltdown. That big win for Trump and Wall Street will prevent American consumers from having the right to sue huge corporations even after being screwed by deceptive, fraudulent practices. Yes, elections have consequences. And there is another big one set for just under a week from now to replace the outgoing Democratic Governor of Virginia. The polls are reportedly tightening in the race between Democratic Lt. Governor Ralph Northam and former RNC chair, corporate lobbyist and George W. Bush Administration official Ed Gillespie. We're joined from Capitol Hill today by muckraking ShareBlue reporter MIKE STARK, who has been covering the Gillespie campaign and recently plowed through Bush-era White House visitor logs during Gillespie's term as a White House advisor, to find several instances of meetings with executives and lobbyists for big banks and energy companies that Gillespie had previously represented. The very next day after those meetings, Stark reports, the Bush Administration changed policies on issues those companies had been lobbying for. The revelations and concerns of quid pro quo corruption come on the heels of the last Republican Governor from Virginia, Bob McDonnell, having been convicted of multiple counts of public corruption related to expensive gifts and huge sums of cash received from the CEO of a company hoping to win favors from the Governor. 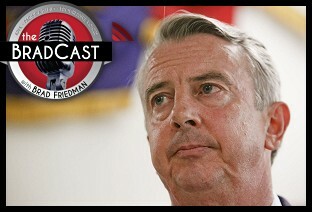 Stark details his findings from those 2007 White House logs; his attempts to press Gillespie on the stump regarding his corporate lobbying work for big banks, big tobacco, big energy, and big pharma; his ties to the NRA, which, along with the Koch Brothers' Americans for Prosperity, is making huge television ad buys on Gillespie's behalf; the GOP candidate's claims to oppose bigotry and racism in all forms, despite racist ads and disgraced former U.S. Sen. George Allen (R-VA), forced out of the Senate after racist comments, serving as Gillespie's campaign chair. 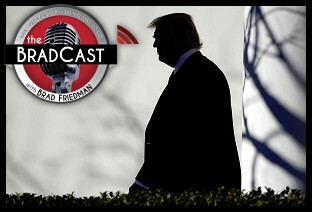 We also discuss Trump's role in the race and whether Democrats may be on the verge of losing what should be an otherwise easy off-year election victory in Virginia. Yet another Republican U.S. Senator has decided they've had enough. Arizona Sen. Jeff Flake stunned D.C. today by joining Tennessee Sen. Bob Corker in deciding that he will not run for re-election in 2018 after all. He offered a blistering rebuke of Donald Trump, fellow GOP members of Congress, and the Republican Party itself while making his announcement on the Senate floor on Tuesday. That development came after a remarkably rancorous (and, in truth, very sad) series of media/Twitter back and forths earlier on Tuesday between Corker and Trump. We cover all of the above today, with a focus on Corker's charge that the President of the United State is, himself, not only failing the country, but a real and present threat to national security in regard to North Korea and other foreign policy concerns. With that in mind, following the disturbing report over the weekend that the U.S. Air Force is now preparing for the possibility of placing nuclear-armed bombers on 24/7 ready alert for the first time since the end of the Cold War, we are joined by longtime nuclear weapons policy analyst STEPHEN SCHWARTZ of the Middlebury Institute of International Studies. Schwartz, formerly the longtime Executive Director and Publisher of the Bulletin of Atomic Scientists (keepers of the infamous "Doomsday Clock"), explains the reasons --- sensible or otherwise --- the White House and US military might make this extraordinary move, which, he charges, is fraught with any number of perils. It's particularly puzzling, he explains, given that the U.S. already has hundreds, if not thousands of nuclear-armed Intercontinental Missiles at the ready on both land and sea. It is, at various times, a chilling, maddening, and (somewhat) comforting conversation and incredibly enlightening from top to bottom. Schwartz speaks to, among many other things: Why the Air Force may be doing this; How China and Russia, much less North Korea, may respond; Whether or not Congress should finally step in to ensure the U.S. never launches a nuclear first strike, no matter who occupies the Oval Office; Whether or not he agrees with Corker's assessment that Trump is a threat to national security and world peace; And what, if anything, might prevent Trump from "pushing the button" in "a fit of Twitter pique." "I think we are long overdue for the point of having a national discussion over what it means to put one person and one person alone in charge of authorizing the use of nuclear weapons," he tells me. "Regardless of who is President, if anything good comes out of this, it will be that people are much more aware of the power that a President has to incinerate the world, how many nuclear weapons we have, still, and what our plans are for them." "I don't worry about Donald Trump so much deciding in a fit of Twitter pique or whatever to launch a nuclear attack," he warns. "I worry that his ignorance, and his arrogance, and his complete lack of knowledge about all things nuclear, not to mention all things foreign policy, will end up getting him blundering into some sort of crisis from which there will be no real escape." On that point, Schwartz also offers his assessment of whether the Bulletin of Atomic Scientists will move their Doomsday Clock forward once again in their annual assessment, after moving it forward to "2 and a half minutes to midnight" back in January. That was well before the recent disturbing threats by Trump to bring "fire and fury" and "totally destroy" North Korea several weeks ago. The last adjustment was also prior to the Trump Administration's wildly aggressive actions to undermine environmental policy meant to mitigate the existential threat of Climate Change, which the Doomsday Clock has also taken into account since 2007. IN TODAY'S RADIO REPORT: New report finds pollution kills more people every year than war, disaster or hunger; US Senate to vote on disaster relief for hurricane victims; EPA censoring climate science and government scientists; PLUS: It's the hottest World Series in professional baseball history --- literally... All that and more in today's Green News Report! A disturbing new report over the weekend cites the U.S. Air Force readying a Louisiana military base to place "nuclear-armed bombers back on 24-hour ready alert" for the first time since the end of the Cold War in 1991. Why? What is the imagined threat that makes such a dangerous (and expensive) posture necessary? Particularly as nuclear armed land- and submarine-based Intercontinental Ballistic Missiles are already in place by the hundreds or thousands and would surely provoke response from adversaries real and perceived? And, of course, all of that, even as Americans are still fighting for their lives in Puerto Rico, thanks in part, to a shortage of relief funding. Yes, power remains out for some 80% of the island, more than a month after Hurricane Maria made her devastating landfall. We're joined today by former Puerto Rico Energy Commissioner, RAMON CRUZ, who is now on the Sierra Club's National Board of Directors and serves as an advisor to the United Nations on climate policy. Recently back from the island, Cruz, a Puerto Rican native, details the deteriorating situation on the ground, particularly away from the capital of San Juan, and warns, as he did in his recently published op-ed for The Hill, that the "vultures" are already descending "to feast on the opportunities presented by the recovery efforts." Cruz tells me that things in the interior of the island are "getting worse by the day," despite Trump grading his own federal relief efforts with a "10" out of 10 last week during a press avail at the White House. "Ultimately, who cares about what grade he gives? There's still people that [lack] all these necessities. It's really infuriating. The fact that they lost everything, and they still are drinking contaminated water, in ways that are completely preventable. That's the real disaster. In that case, if I could give negative points, I would give that." He notes that his own father, for instance, who lives just 40 minutes from San Juan "still has no electricity, cell or water service" and many in mountain towns "have received a visit from the authorities only once, if any, and to bring a couple of water bottles and some canned sausages." The relief effort is failing, he charges, citing, for example, a delivery of "100 pallets of solar panels, but it still will take at least a month to go through the shipping process" before they can actually be deployed. Cruz details why PR's power grid took such a hit from the storm, why it is so difficult to restore it to the already-deficient state it was in prior to the storm, and how decentralized energy micro-grids, relying on clean, renewable energy and battery storage, are now more important than ever, even as opportunists begin to take advantage of relief funds and the desperate Puerto Rican people. "A lot of these [power generating stations] are decades old," he notes. "So you have these monstrosities of this very centralized system. They're very inefficient, they operate with some of the dirtiest fuels, and they should have been changed, should have been retired [a] long time ago. But because of several reasons --- everything from mismanagement, corruption, lack of capital, lack of creativity, bad business models, etc., they were not changed. And now you see these kinds of effects." "This storm [Hurricane Maria] is no longer killing Americans," an exasperated Rachel Maddow exclaimed on MSNBC in mid-October. "The federal government's response to this storm is now killing Americans." Setting aside Donald Trump's own self-assessment that his government's response was a "10" out of 10 --- that it couldn't have been better --- actual facts reveal otherwise. Congress need not await the outcome of Special Counsel Robert Mueller's investigation into whether the Trump campaign conspired with Russia in the 2016 election, before determining if President Donald J. Trump should be impeached. The phrase "high crimes" that appears in the Impeachment Clause of the U.S. Constitution, according to the Constitution Society, "refers to those punishable offenses that only apply to high persons, that is, to public officials, those who, because of their official status, are under special obligations that ordinary persons are not under, and which could not be meaningfully applied or justly punished if committed by ordinary persons." First, the President met with Puerto Rican Gov. Ricardo Rosselló at the White House on Thursday, and gave himself a "10 out of 10" rating for his federal government's response to the disaster and ongoing humanitarian crisis following Hurricanes Maria and Irma on the island of 3.5 U.S. citizens. During the sometimes uncomfortable 30-minute press avail, Trump sought approval for the response from an on-the-spot Rosselló. The official death toll after Maria stands at 48, though independent analyses put the number of dead at more than 400. 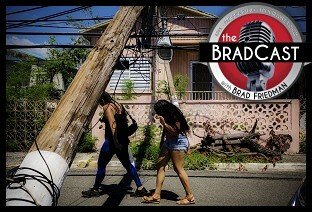 The power grid is still down across the vast majority of the island, and many are still struggling for fresh running water, though CNN offers some good news today regarding the many desperate citizens who had been drinking from wells at toxic Superfund sites. Then, following Trump's announcement late last week that he was cutting off subsidy payments mandated by the Affordable Care Act (or 'ObamaCare') to help cover out-of-pocket health care expenses for low-income Americans, a bi-partisan agreement was struck in the U.S. Senate to pay those Cost-Sharing Reductions (CSR) subsidies. Trump originally lauded the deal announced between Senators Lamar Alexander (R-TN) and Patty Murray (D-WA) on Tuesday. But he has since flip-flopped on support of the bill by the Chair and Ranking Member of the Senate Health Committee in the 48 hours since. Trump's cut-off to those CSR payments has already resulted in health care premiums sky-rocketing around the country, including in states like Pennsylvania, where, its insurance commissioner announced Monday, rates are now set to soar some 30% for many in 2018. We're joined by TPM's Congressional reporter ALICE OLLSTEIN from the Capitol today for the latest on what the Alexander-Murray measure, now co-sponsored by some 24 U.S. Senators from both parties, would actually do; how members are reacting to Trump's predictably unpredictable roller-coaster responses to it; how each party is attempting to sell the bill to its members; and whether GOP leadership will even allow the legislation to come to the floor for a vote, much less whether it can be passed by the Senate or the even more rabidly-opposed right-wing members of U.S. House. Trump "has been all over the map on this," Ollstein explained, when I asked about the response on Capitol Hill to his ever-shifting statements. "Every time he opens his mouth, it's a new and confusing statement. No one has any idea, really, where he stands on this. So I think they're just trying to rally as many votes as they can, and worry about the President later." "Keep in mind, this bill is coming kind of too late to make anything better for 2018," she says. "If they had gotten it done by mid-September, the insurers could have lowered their rates and prevented some of the big increases we're seeing. Now they blew past that deadline because they wanted to take one more whack at repeal, which failed. So now it's all about stabilizing the market, preventing additional chaos, and we won't really see the benefits of this until [the] end of 2018, beginning of 2019. That's right when the midterms are going to be. And so does the Republican leadership want their members to face re-election amid all of this healthcare chaos that they might get blamed for, as many polls indicate?" 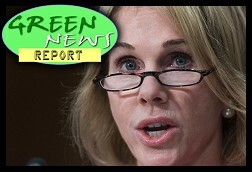 Finally, Desi Doyen joins us for the latest Green News Report on the newest GOP scheme to allow drilling in the pristine Alaska National Wildlife Refuge (ANWR) to export oil to China; updates on the deadly wildfires in CA and storm disasters in Puerto Rico and US Virgin Islands; and some very good news indeed regarding electric vehicles...at least in Europe.